The Sheraton Imperial Kuala Lumpur Hotel has completed a multimillion-dollar facelift. 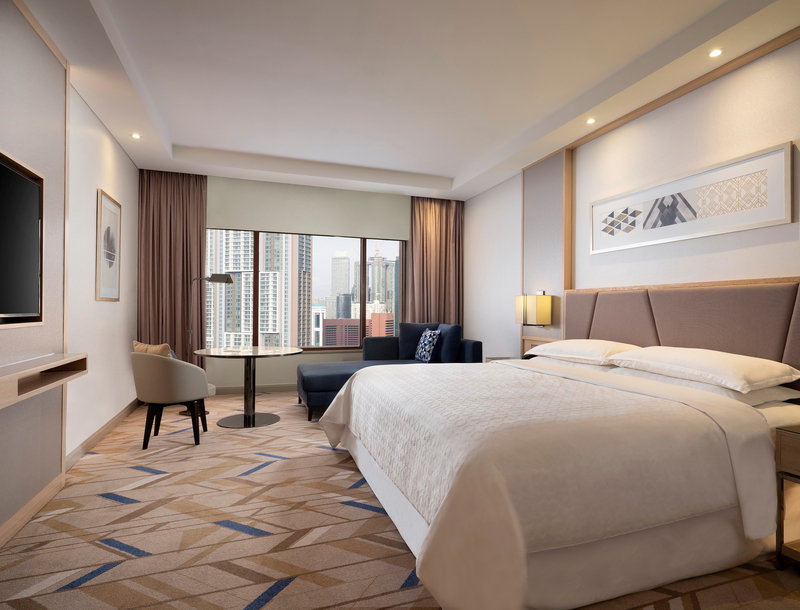 The hotel, located on Jalan Sultan Ismail in the heart of the city, has also increased its room inventory to 398 rooms, all refreshed with a bright and contemporary finish. In addition to upgraded meeting facilities, refreshed F&B outlets - including a new bar, the Club Lounge on the 38th floor overlooking the KL Tower has also been reimagined to allow the hotel’s Club Room guests to relax in a more relaxing ambiance. Sheraton Imperial Kuala Lumpur is located in a buzzing historical area just steps from a wide assortment of delicious eateries housed in pre-war houses for guests to choose from. See also: How's Business at the Four Seasons Hotel Kuala Lumpur? Exclusive Interview with Vinod Narayan. See latest HD Video Interviews, Podcasts and other news regarding: Sheraton Imperial, Kuala Lumpur, Malaysia.